Every 1st December is celebrated the World AIDS Day, promoted by the World Health Organization (WHO) and the United Nations (UN). It is an ideal day to insist to society and governments that despite the progress made, HIV has not gone away; and that, therefore, it is still vital to increase awareness, fight against prejudice and improve the dissemination of information and training about the disease. The motto this year is "Let's end it". The goal is to end the isolation and stigma suffered by many patients and, most importantly, with the transmission of HIV. For the first time, science has the means to fully control the spread of HIV in a trend towards "functional cure", where the virus is reduced to undetectable and harmless levels. However, last year approximately one million people died from this disease, mainly in sub-Saharan Africa. Another alarming fact: In the same area, between 30% and 70% of people do not know if they are not HIV carriers. The work of Humana People to People in the face of this disease is mainly articulated through two programs: Total Control of the Epidemic (TCE) and HOPE. The TCE methodology is based on the prevention of the transmission of the virus and on the sensitization, mobilization and empowerment of the community in the fight against the disease. 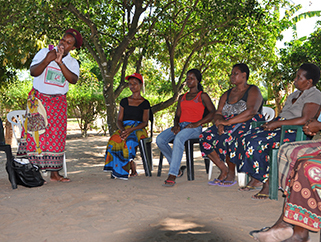 The work performed door to door by the so-called field officers, fosters the skills of each person to take control over their health status with respect to HIV / AIDS. 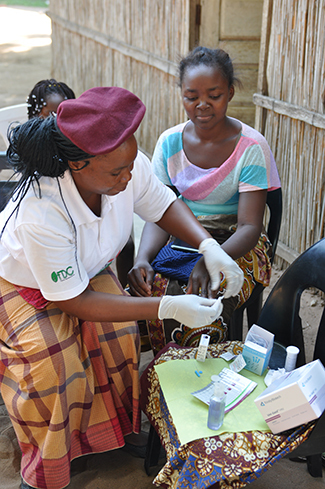 TCE staff offers support to sick people and their families to reduce the risk of contracting the disease. It also promotes personalized dialogue on sexual and hygiene habits, among other activities. 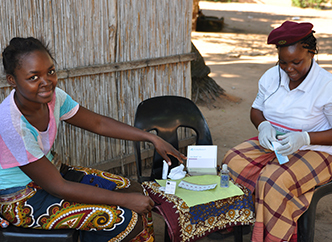 The close collaboration with health centers has led to an increase in the number of tests and adherence to treatments. Underway in 1999, this program is vital in the work of Humana in the fight against the spread of HIV, AIDS and other diseases, such as tuberculosis. Federation partners are implementing 77 TCE in a dozen countries, reaching approximately 6.5 million people in Africa and Asia. This year, Humana wants to emphasize the importance of men mobilizing individuals of the same gender in order to undergo diagnostic tests. This approach has proven to be successful in reducing the spread of HIV and improving the results of anti-retrovirals: mobilizing men to get tested, therefore, is key to reducing mortality rates. For its part, the HOPE program focuses on supporting AIDS patients and offering guidelines for not abandoning medication. It tries to connect the population with national health systems and local health structures that promote the supply of antiretrovirals and adherence to treatments. Humana People to People's strategy to increase the number of tests and raise awareness about the disease is obtaining very positive results among population groups in remote geographical communities with very difficult access to health centers.